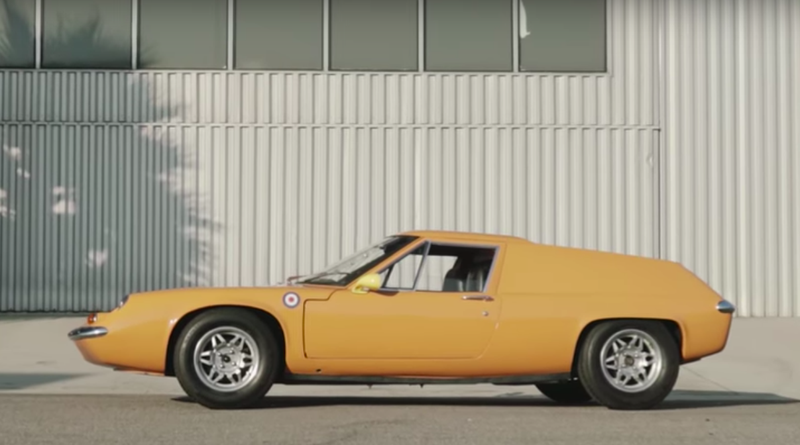 The Lotus Europa was a car so small and light that, if you were walking on the street and it was parked, you might miss it. All of 1,500 pounds, the Europa was designed to be an affordable rear-engined sports car, on sale for £2,600 in 1967, or about $27,000 in today’s money. This example, a rebuilt 1969 Europa Type 54, has only aged a little bit. “The car is actually a lot more comfortable than I thought it would be,” is how Spence Canon, the owner of the Europa in the Petrolicious video, describes it. Which is good news for a car that Canon rebuilt in his driveway with nothing more than ordinary tools and a floor jack. The Type 54 Europas, introduced in 1969, originally had a top speed of 120, and went from zero to 60 in a little over nine seconds, powered by a Renault-made inline-four cylinder that made as little as 58 horsepower in some versions. Canon says his makes about 100 horsepower; I’m guessing it can do better than 120. L.J.K. Setwright liked the Europa when it first came out and he reviewed it in Car Magazine, though it’s interesting to see how much car design has changed since then. Whereas Setwright was obsessed with drag coefficient (he says the Europa is much better on this count than the Citroen DS) it’s clear downforce just wasn’t a thing yet. Project Car Hell, Lotus On A Budget Edition: Elite or Europa?